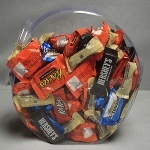 Hexagon plastic containers show off candy choices in Middlebury Sweets! Photos by B. Jenne - Owner Middlebury Sweets, Middlebury, VT.
Love the look of glass, but shudder when the kids reach into glass jars? 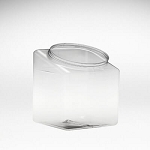 Fill your store with plastic candy jars to offer the look you want, with the added bonus of safety for all. Line the wall with our extensive collection of wholesale candy containers and let the fun begin. 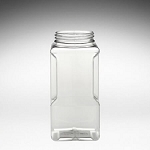 No matter the size of your display, buying wholesale plastic jars will benefit your business. 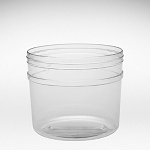 From small candy containers to larger plastic storage bins, you can give customers a variety of options. 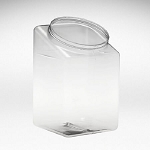 Choose from a wide range of shapes and sizes from our collection of wholesale plastic cookie jars. Check out characteristics like round, square and even hexagon shapes. Add merchandise similar to small hardware items, fresh baked cookies or impulse product-like novelties. If you're short on space, shop for our stack-able display bins. 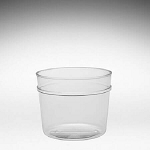 They vary in size and shape and will fit your display needs. Plastic containers offer endless ways to add kid friendly ambiance. Fill containers with candy, flowers, floating candles, or small trinkets. Plastic is so lightweight that it makes storing and transporting merchandise a piece of cake - a fabulous find for event planners. Imagine each table at the reception decorated with a small plastic candy jar with lids filled with Jelly Beans that match the color or theme of your special occasion. As the celebration starts to wind down, these decorations are taken home to be enjoyed by guests. 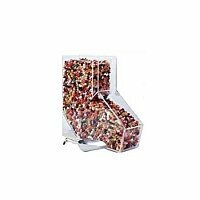 Possibilities are endless when you choose to use our plastic storage and buffet candy bins. 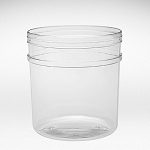 Reusing and recycling these containers can remind your friends and family members of the wonderful memories they inhaled while attending the special event for years to come. 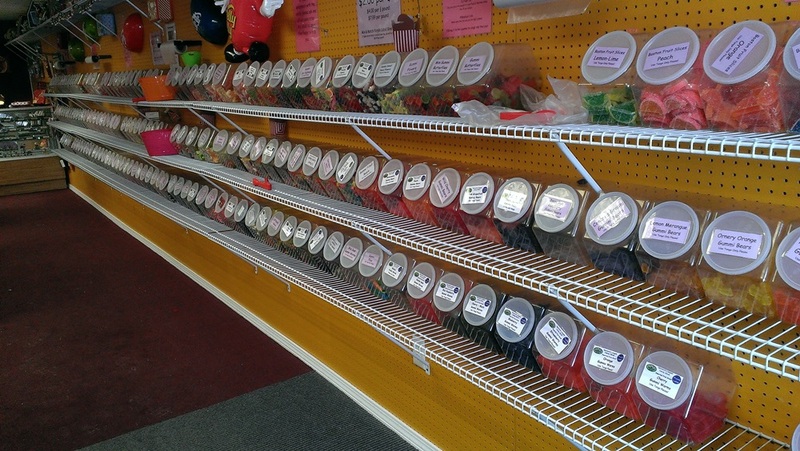 Bulk candy displays and buffets can create a potential increase in your sales and profits on a daily basis. Take a leap of faith and invest in the future of your business by purchasing our wholesale products! For Creative Flair Check out our Paint Can Dispensers!